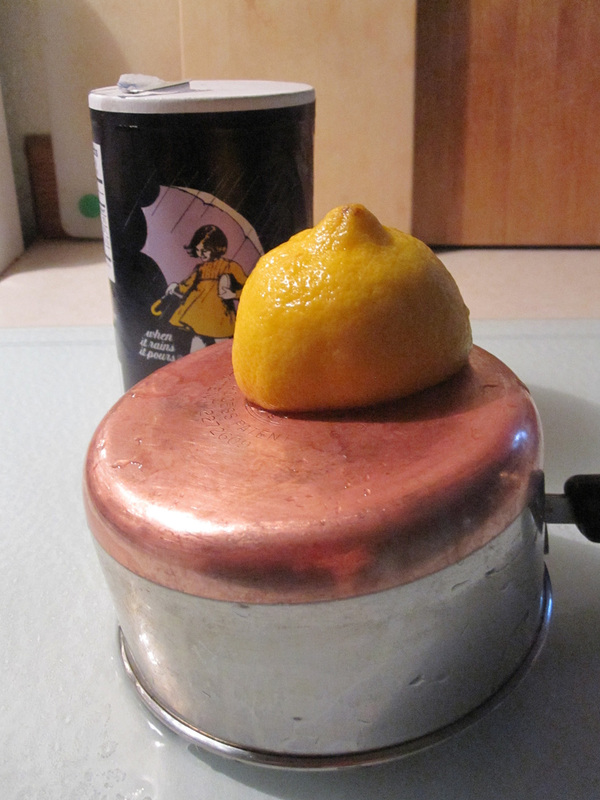 Use lemon and salt to freshen copper-bottomed pots. Rake leaf mulch from strawberries, prune dead canes from raspberries. Pile brush in the alley to be hauled away another day.